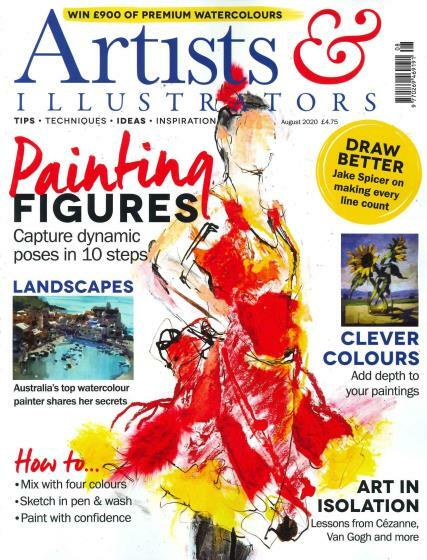 Artists & Illustrators is Britain’s most popular magazine for practising artists, whilst also being equally relevant to professionals, aspiring amateurs or to those who paint purely for pleasure. Buy a single copy or subscription to Artists & Illustrators magazine. Full of step-by-step practical advice, readers’ own work, exclusive features on famous names and expert product tests, this is the top publication for every artist seeking inspiration, whether they favour painting, drawing or printmaking. Like it very much. It's very helpful. I've just read the August 2010 issue of Artists & Illustrators magazine and it was an excellent read. I am going to subscribe. Here's a bit about that issue. The cover story shines the spotlight on Nottinghamshire born artist Jill Barthorpe, who balances a bookkeeping job in London alongside her painting; the fourth man in history to walk on the moon Alan Bean’s breathtaking artwork is profiled; and top tips are provided in the areas of screen painting and developing compositions. is the perfect companion for anyone with a keen interest in art. Whether an aspiring or distinguished artist or an art lover, Artists & Illustrators is all you need to further your interest and improve your skills.